It is that time again: forest fire season in Lebanon. The season has dramatically expanded due to increased droughts and higher temperatures. 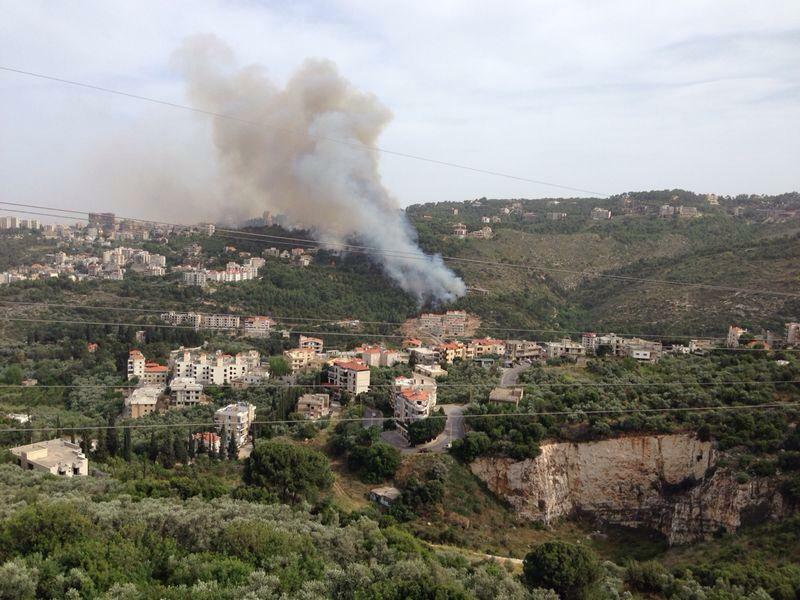 Yesterday, a fire began by 8 am in Baabda. Below is a picture of the fire at that time. An odd time for a fire? Yes, fires are much more prone to begin mid-day. 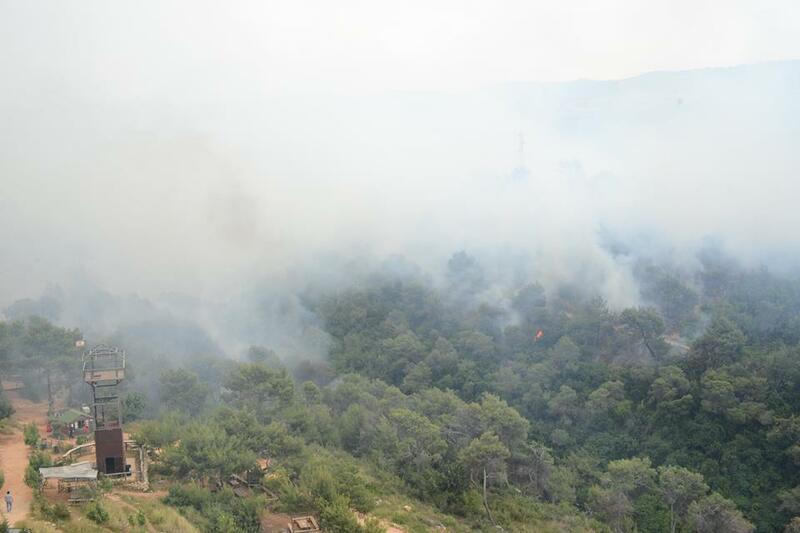 Eighty percent of the rich, protected forest of Baabda has been burned. As the Daily Star reported: Residents said they first spotted the fire in the early morning between 6 and 8 a.m. and saw it spread quickly due to high levels of humidity and strong winds. Many claimed to have called various authorities including the local municipality and the Civil Defense office but that it took until around 10 a.m. for a response. Forests take hundred’s of years to grow, its such a shame to see them being destroyed in this way! A fire at 8 am? A little too suspicious wouldn’t you think? Doesn’t seem like an accident. But what stings more than a “fake fire” is the fact that the people who are supposed to be protecting the forests area actually not doing their job. Maybe they were paid to arrive a little too late to the scene? Something seems off about this whole situation and i hope they get to the bottom of this before something else happens to the few trees we have left. It is really sad to know about the fire, but the response to such an event was even worse. I think you are right when you suspect the late response and to consider the fire time as an “odd time”. I would like to ask here; weren’t there any investigations about the causes? A forest fire like this is definitely not due to natural factors. Human intervention is definite. People are destroying their own environment and their own place of natural ecosystem. They are burning down nature due to their indifference and lack of responsibility. 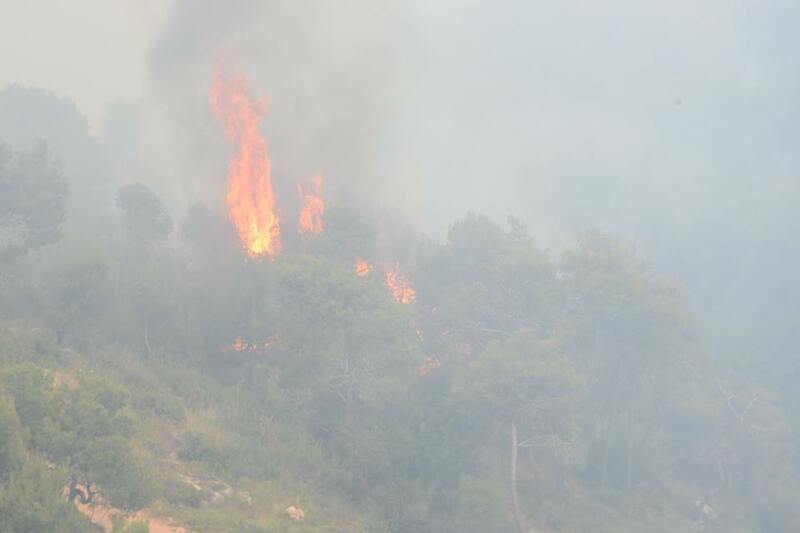 The problem is not this local forest that is burned down, but it is the wider image of Lebanon that is being torn apart. The problem is, in fact, people’s ignorance and their inability to make their country a better place. Instead, they do whatever possible to exacerbate their already existing problems. Nature is the place where we can find peace of mind, after all. So if we burn that down, aren’t we destroying ourselves too? When are the Lebanese government realize that without nature we cannot survive? They are going to realize that only after all the green is gone. They will only give value to it after they lose it, and then it will be too late. ”The forest laws in the country are such that a burned forest is not considered a forest, and thus removal of the trees becomes legal. So, the possibilities for real estate moguls to make money increases, and the planned “Arab Highway” can move with greater ease.” Unbelievable how experts they are when it comes to lie, act, and fake. They get a 10/10. I wish they could use their intelligence for something useful, and good. They don’t know that nature will take its revenge. Whatever it does, it will be more than fair. Hopefully, they wake up one day and stop committing these dumb, ridiculous mistakes. No one can be sure concerning the reason of the fire. There is a great chance that it could be due to natural causes. LARI already alarmed farmers this year from fire risks due to high temperature and increased dryness. Whatever the cause is, rumors about reforestation are being spread. They might wait until next year to allow dormant seeds to grow and then replant the gaps. It is true that due to climate change, temperature has been rising, precipitation decreasing leading to draught which causes fires. However, there’s a high chance that the fire was actually induced. Because in this way it becomes ”legal” to cut the trees, making it much easier and ”acceptable” for them to do deforestation. It is really a shame. This goes against morals, ethics, and science. It will be a dream come true if corruption comes to an end, but this is most probably impossible. However, we need more people with morals, high standards, and who care about nature to defend and protect the beauty of Lebanon. Despite the fact that everything about this fire is suspicious, it’s rather alarming that such forest fires are happening regularly in Lebanon nowadays (I remember quite well the many forest fires that erupted last summer) and we don’t see the government taking any measures concerning this issue. A huge number of Lebanese forests are being eaten up by flames and nothing is being done to prevent it. Only explanation to this is, what in fact you mentioned in your article, the benefit of real estate merchants that in fact have major influence on the Lebanese government. So to preserve our forests, I think it’s of great importance to expose these merchants that aim for nothing but profit, and to spread awareness about what is really happening to our forests.